For users, store owners and designers, having the right tools for creating kits, patterns, and marketing materials is crucial. EQ7 has the exporting capabilities to help you make the most out of your project designs. You can export images from all three worktables in EQ7: the Quilt Worktable, Block Worktable, and the Image Worktable. There are several image file types to choose from as well. EQ7 has provided you with the abilities and options you need for creating images you can use to market and sell your product. 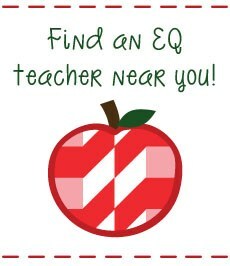 So let’s learn the different ways to export from EQ7. 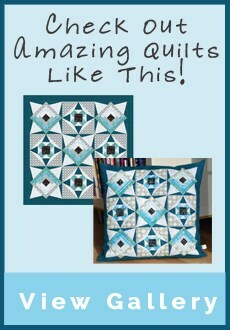 Step 1: With your quilt displayed on the Quilt Worktable, click File > Export Image. Step 2: Give the quilt a name in the File Name box. In the Save as type box choose TIFF. Click Save. Step 3: In the Export Image File of Quilt dialog box , make sure the resolution is set to 300 dpi or 600 dpi. Under Options check or un-check boxes for Outline Patches and Outline blocks depending on what look you want for your image. Step 4: Click OK. You have successfully exported a crisp, high resolution image that can now be submitted to magazines, printers, or used in packaging designs. To create an image for the web, follow these same steps but choose 75 dpi for the resolution and either PNG, GIF, or JPEG as the file type. Keep in mind you may want to resize your image after you export to make it a reasonable size for the web. Step 1: Edit your block to the Block Worktable. Step 3: In the Export Metafile dialog box select the Quality and Options for your block. Then Click Copy to Windows Clipboard. Step 4: Open a new document in Microsoft Word. Click File > Paste. Your metafile block will paste into your document. Step 5: Select the block image, right click and choose Edit Picture. Now you can select separate pieces of the block and pull them away from each other. This is perfect for illustrating sewing instructions. You can also use other vector programs for breaking apart blocks. Try exporting several versions with different settings and choose the one image that works best for your use. Export the image at the size you plan to use it in a document. View an EQ7 Demo Video on Exporting in the Videos section of our website.